Ask our leaders why they volunteer to run local groups, and you’ll hear a list of reasons. Some say it’s about giving back, sharing experience and helping fellow professionals the way someone once helped them. Others thrive at the center of the action, where they learn from others, build their network and hone their leadership skills. And still others point to the comradery of friends and colleagues. CUGC embraces each of these reasons and more. We are fortunate to have hundreds of volunteer leaders running more than 50 groups around the world. If you’re interested in joining the team, please read this document and contact us. When you become a CUGC local leader, you’re on the team. Your local team will work with HQ and Citrix, and you will be part of the global community with tens of thousands of members. Together, the community has more knowledge, greater resources and a stronger voice. End user/customer members may lead a local group. Citrix channel partner employee members may lead a local group, provided they work in a technical capacity. Channel partner employees who help to lead a local group must do so as individuals, not as a representative of their company. Each local leadership team must have at least one end user/customer and no more than one channel partner employee from the same company. Citrix Ready Partner employee and Citrix employee members may not lead a local group. Our local groups connect technology professionals in a city, state, country or other region. They are managed by volunteer leaders in collaboration with CUGC HQ. The groups aim to hold quarterly in-person meetings, and each has a home on myCUGC.org with a web page, forum, listserv and more to stay connected between meetings. HQ provides local leaders with meeting, web site, financial and organizational support. They help connect local leaders with Citrix, schedule meetings, secure venues and catering, enlist sponsors, and handle invoices and payments. Citrix supports our local groups. The Citrix team in your region will help recruit members and organize meetings. They will share ideas for your agenda, help us find experts to present, and propose ideas on the best locations and times for successful meetings. Our leaders abide by the Leader Pledge, Code of Conduct, Content Principles and other guidelines. They are responsive and participate in email discussions, calls and meetings. And we act collaboratively and respectfully. CUGC is educational, professional and fun. We encourage collaboration to generate ideas, spread the word and share the work. It is best if teams of three to five people lead local groups, with strong end user participation. Those teams then work closely with HQ and Citrix to support their local group and the global membership. A local leader’s biggest task is organizing meetings. CUGC encourages local groups to hold quarterly in-person meetings. The time, length and format of the meetings varies quarter to quarter and group to group. HQ works very closely with leaders to plan their meetings. Local groups operate on individual budgets that are allocated and managed by HQ. Our goal is to minimize the accounting and paperwork, help groups to secure sponsors, and give leaders time to focus on their membership and meetings. HQ will brief prospective leaders on meetings on budgets. Local groups need resources to cover the cost of meetings, growth and other activities. To achieve that, leaders and HQ work together arrange meeting sponsorships. HQ will brief prospective leaders on sponsorships. 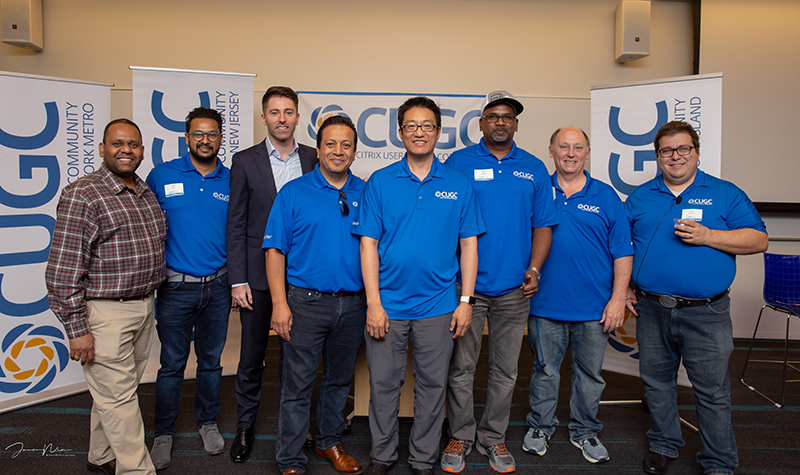 The myCUGC.org platform is the online home of CUGC and includes tools for our local groups, including forums, calendars, invitations, event registration and more. Local groups communicate through myCUGC.org and use Twitter, LinkedIn and other tools only to support their work. HQ will brief prospective leaders on the platform and social media. There are differences in how we partner with CUGC groups outside of the United States. HQ will work with leaders to find solutions that work for a group’s location and situation. Please contact CUGC HQ to learn more.